Action has never been more urgent to reverse the trend that will lead to warming of more than 2°C, along with all consequences that no one should ignore. Despite the difficulties or abandonment of some parties, the movement is growing and spreading. All over the world, citizens, towns, companies, associations, and governments are committed to inventing new production and consumption models using fewer natural resources. It is more necessary than ever to accelerate, to join forces by supporting models that can be implemented on a large scale. For several years, our companies have been strongly committed to reducing their carbon footprint in their own activities. They have also come together in the Livelihoods Fund to overcome the challenge of climate change and the fight against poverty. 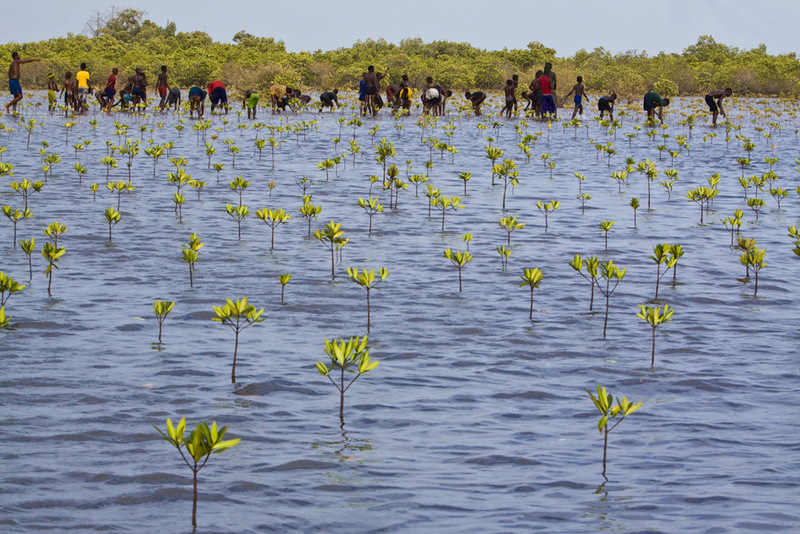 In 10 years, the investments made have enabled tens of thousands of hectares of damaged farming land and mangroves to be restored, millions of trees to be planted, and the living conditions of rural populations in Africa, Asia, and Latin America to be sustainably improved. All these projects contribute to climate action through the massive storage of carbon in natural ecosystems and the reduction of emissions, but also to water resources and biodiversity conservation, all major challenges for the lives of future generations. the public and private financial institutions allow the size and impact of projects to be increased and receive a reasonable return on their investment. Ultimately, the cost-efficiency ratio and the risk level are significantly improved for all public and private players. 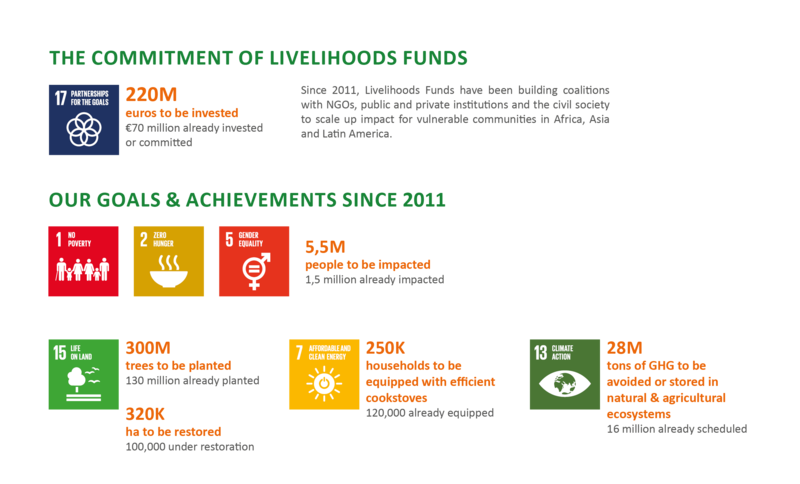 By joining forces within these coalitions, the partners of the Livelihoods Funds have begun charting a new course, not only for project funding, but for their structuring and completion. Other «hybrid» model initiatives are emerging along the same lines. They must be more supported and encouraged. There is an urgent need to break the silos and make resources and skills converge, in accordance with everyone’s roles and responsibilities. We look forward to seeing participants at the next COP, particularly the representatives of governments and institutions that support the Paris agreement, who wish to be strongly involved in this process and to mobilize significant resources for these innovative models with criteria that enable them to be quickly and effectively implemented. As for the Livelihoods Funds, we commit to increasing our efforts to contribute with everyone who shares this conviction. French Development Agency (AFD) – Agresta – Barry Callebaut – Brookside Dairy – Agricultural Research for Development (CIRAD) – Climate Pal/ Ecoact – Conservancy International (CI) – Fanamby of Madagascar – Trust Funds for Rural Development of Mexico (FIRA) – French Global Environment Facility (FFEM) – Franklin Baker – FundaEco of Guatemala – GIZ – Gold Standard – Government of Guatemala – Inter-American Development Bank (IDB) – Integrated Rural Development Foundation of the Philippines (IRDF) – Institute for Labor & Family of Peru (ITYF) – International Union for Conservation of Nature (IUCN) – Mahindra Group – Missouri Botanical Garden – Naandi Foundation of India – News Wildlife of India – Oceanium of Senegal – Prova – Rabobank – Ramsar Convention on Wetlands – Brazilian SMEs development agency (SEBRAE) – Ministry of Rural Development & Agribusiness of Mexico (SEDRAE) – SOS Sahel – tiipaalga of Burkina Faso – The Nature Conservancy (TNC) – Unique Forestry & Land Use – Verra – Vi Agroforestry of East Africa & Sweden – World Agroforestry Centre (ICRAF) – Yagasu of Indonesia.